Neil Dexter took five wickets against former side Kent to put Leicestershire narrowly on top going into day three. The hosts resumed on 326-9 but Darren Stevens dismissed Callum Parkinson for career-best figures of 8-75, ending their 122-run last-wicket partnership. Kent were toiling in reply on 113-5 but skipper Sam Northeast hung around to post 97, falling lbw to Dexter. The South African seamer then had Mitch Claydon caught, but Kent clung on to end play on 313-9, just 37 runs behind. Imran Qayyum (22 not out) and Adam Milne (20 not out) will attempt to surpass Leicestershire's first-innings total in the morning at Canterbury, with Dexter hoping to further boost figures of 5-76. 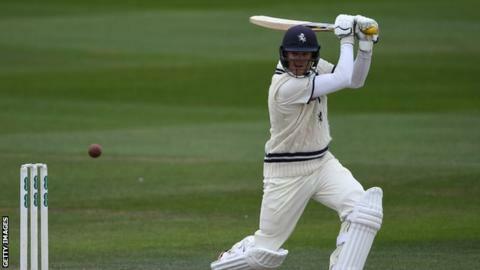 Star man of day one Stevens, 41, made 46 with the bat to further frustrate the Foxes, who are still looking for their first County Championship win of the season.